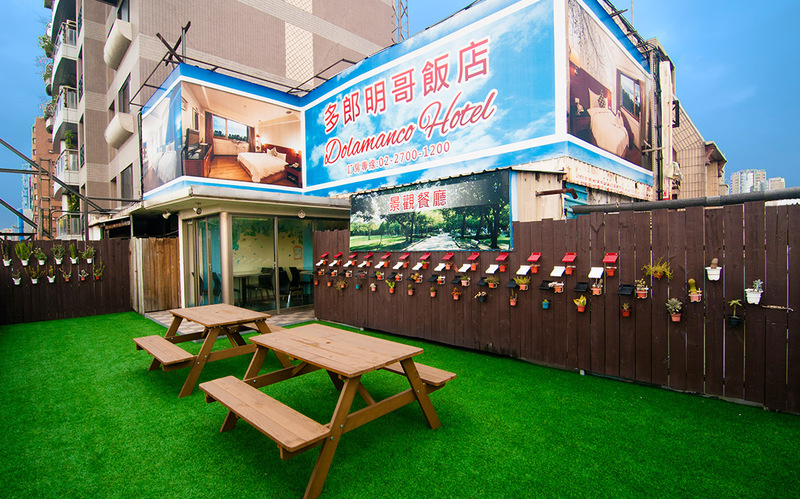 © 2008 Dolamanco Hotel. All Rights Reserved. 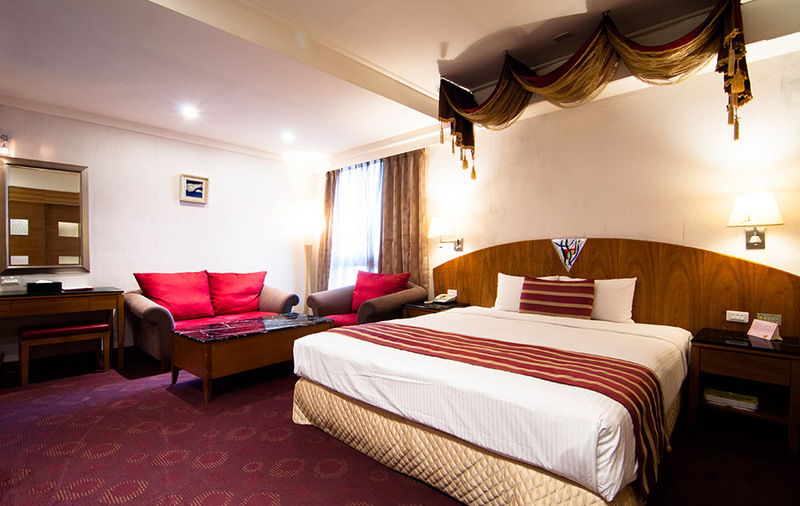 The Dolamanco Hotel is located directly opposite the Daan Forest Park. 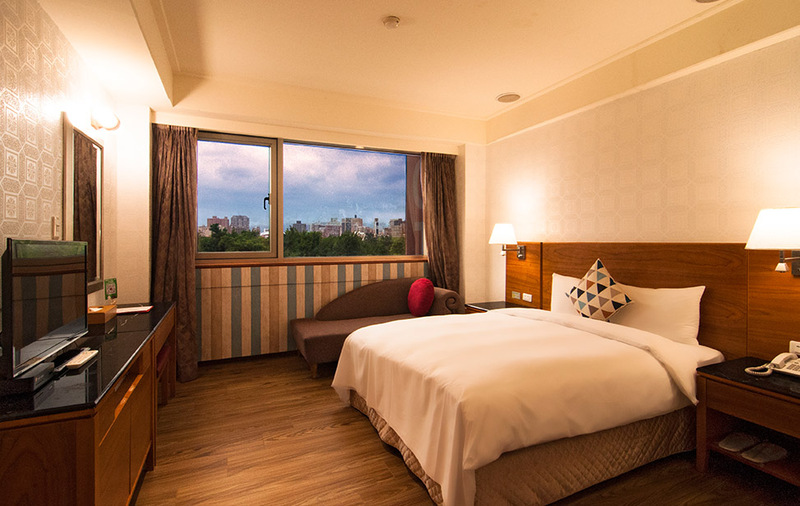 Its eye-pleasing architecture, with high ceiling and viewing windows, the refined Spanish-styled decor will let you feel the Dolamanco hospitality, and we hope that you will share in our passion. 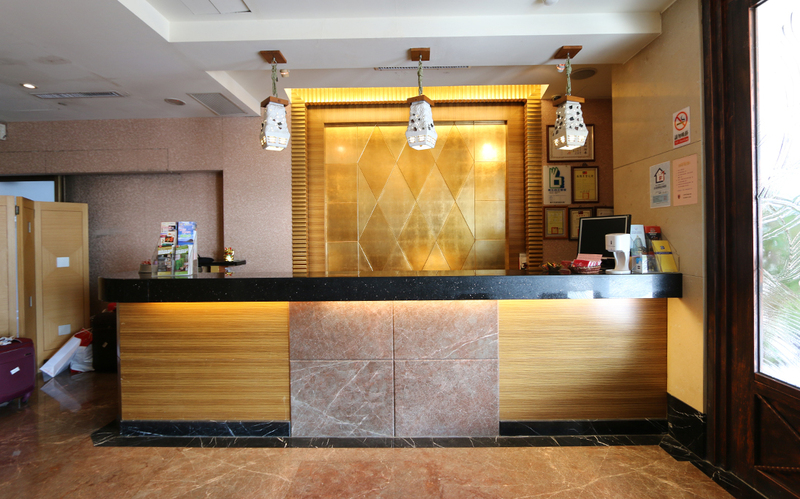 Our full complement of facilities and warm service, will cater for your every need down to the smallest details, whether you are on a business trip or vacation. 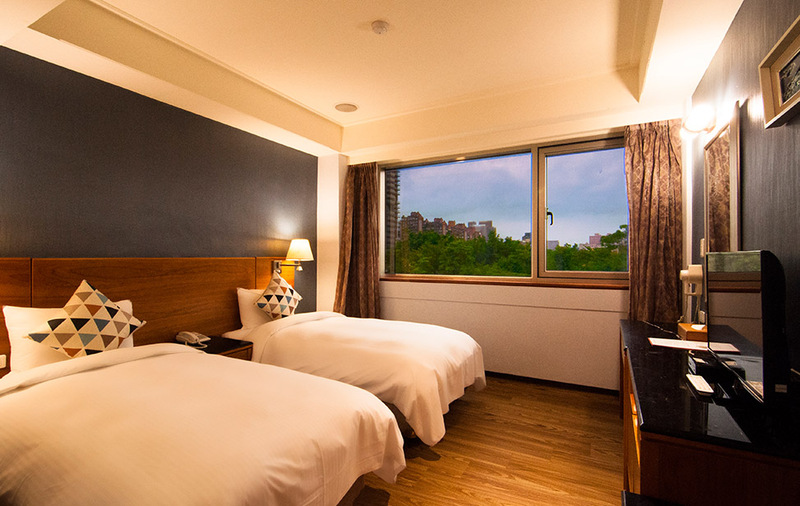 The hotel offers a spectacular view, whether it is the brightly lit Taipei night view, or the bustling streets during the day, you can observe it from the comfort of the hotel. 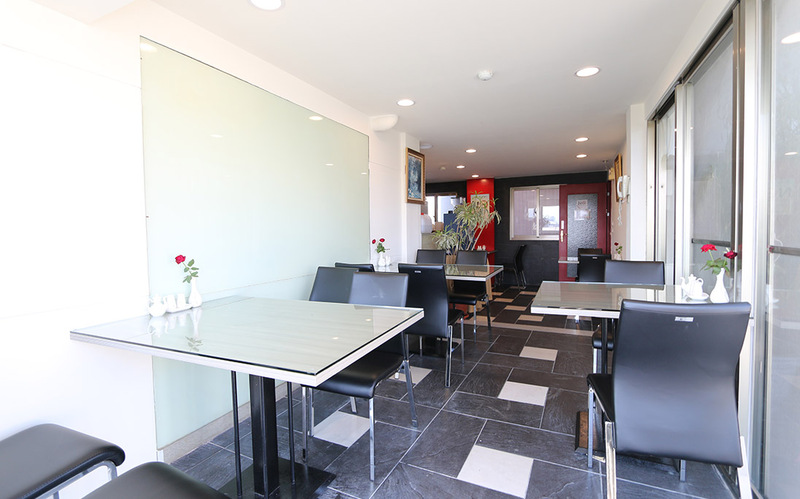 Restaurant Open from 7:00 a.m.-10a.m. 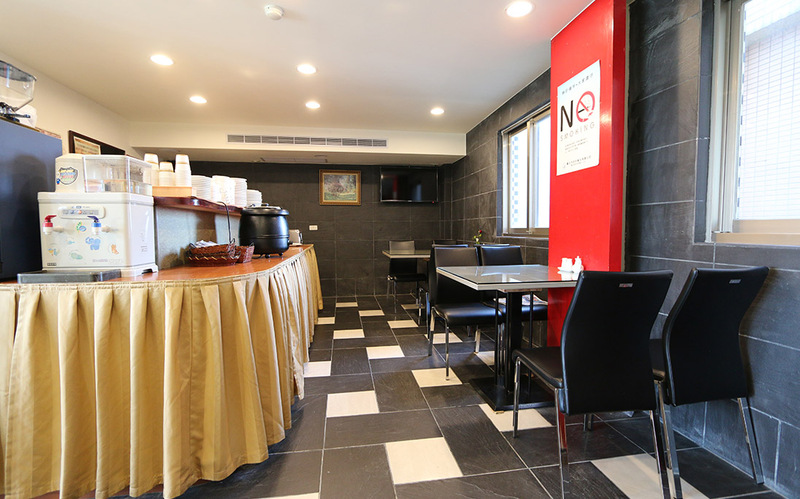 The quiet and elegant dining space, along with fine service and delicious cuisine will provide you a visual and gastronomic feast in the comfortable surroundings, no matter where you are meeting for business or catching up with friends. The Xingtian Temple worships Guan Yu, Lu Dongbing, Zhang Dang (god of the hearth), Wang Shan, and Yue Fei. Guan Yu is the main deity worshipped at the temple, and as Guan Yu is often known as En Chu Kong, the temple is sometimes called En Chu Kong Temple. Aside from the 5 main deities in the main shrine, the side shrines at the Xingtian Temple is given to Guan Yu's foster son Guan Ping, and his general Zhou Cang. When you are facing the main shrine, the deity from right to left are: Guan Ping, Wang Shan, Lu Dongbing, Guan Yu, Zhang Dang, Yue Fei and Zhoug Cang. 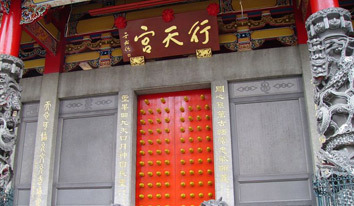 In addition, Xingtian Temple also worships the Taoist deities, Buddhist deities, Confucius, and numerous other deities of these three religions. The Chiang Kai-shek Memorial Hall covers over 250 000 square meters. In addition to the 70m tall main building, the national theater and concert hall is also based there. Other areas include the main avenue, the main plaza, the outer cloisters, and Chinese-styled gardens (Guanghua carp pond and Yunhan pond). In addition to providing a space for the public to relax in, the plaza often also acts as a gathering point for any mass movements. After the martial law was lifted, many social and political movements has been held here. 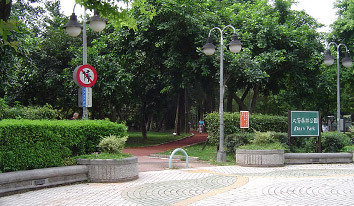 The Daan Forest Park, also known as Daan Park, is located in the Taipei's Daan District, covering 25.894 hectares, and was at its establishment, Taipei City's largest park. It officially opened in March 29, 1994, and is managed by the Park and Street Light Office, Public Works Department of Tapei City Government. The Park include the following areas: Bamboo forest area, banyan area, flower area, aquatic plant area, regenerated forest under strip system area, ponds and rockeries area, open-air music area, children's play area, and parking area. 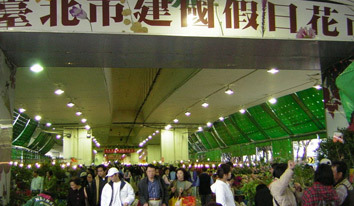 The Taipei City Jianguo holiday flower market is also known as Jienguo flower market, located beneath the elevated bridgeway on Jianguo S. Road, between Xinyi and Renai Road. 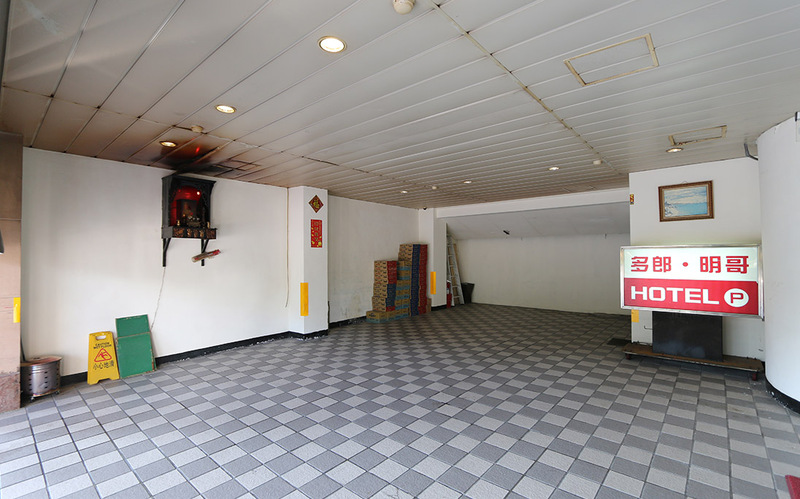 The area between Heping E. Road and Xinyi Road is the Jianguo holiday jade market. Jianguo flower market is open on Saturday and Sunday, where gardeners and horticulturists from Taipei and surrounding regions come to set up stall to sell plants and any horticulture-related products. The market is surrounded by parking lots. 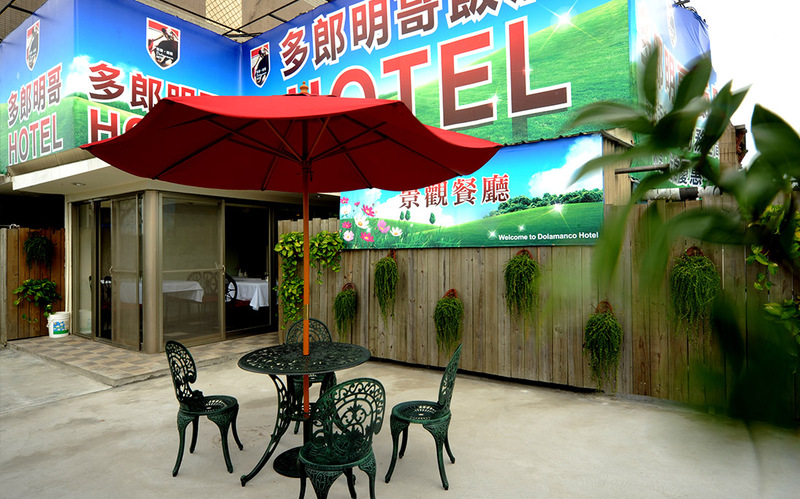 Yongkang Street is famous for the numerous restaurants and eateries located there. 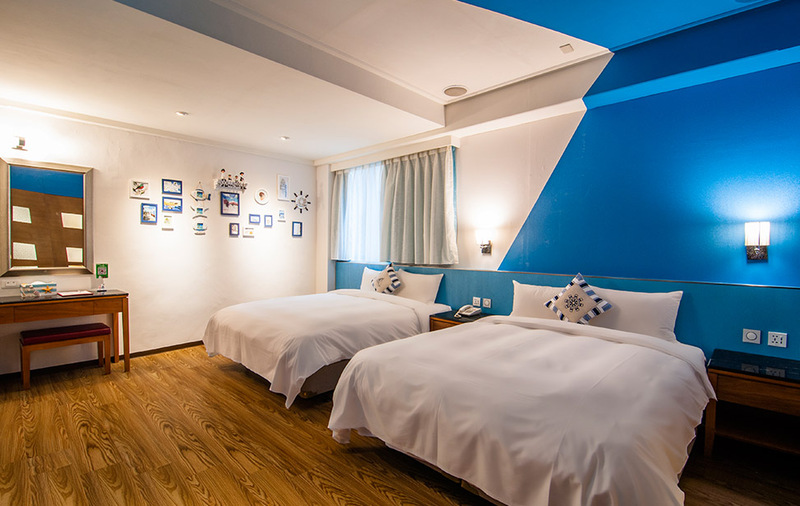 The street is on Xinyi Road, Section 2, in the Daan District located between Jinshan S Road and Xinsheng S. Road. 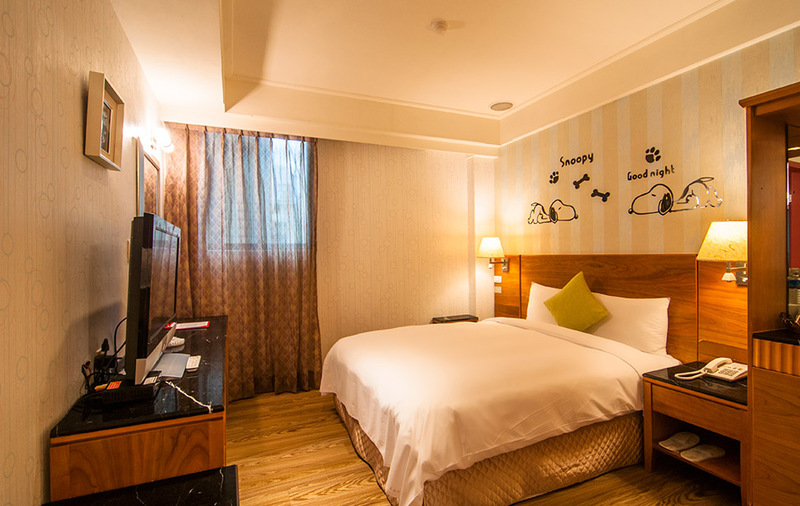 The Yongkang commercial district is based around Yongkang Park, and includes Yongkang Street, Lishui Street, part of Jinhua Street, and the shops on the street's intersection with Xinyi Road. 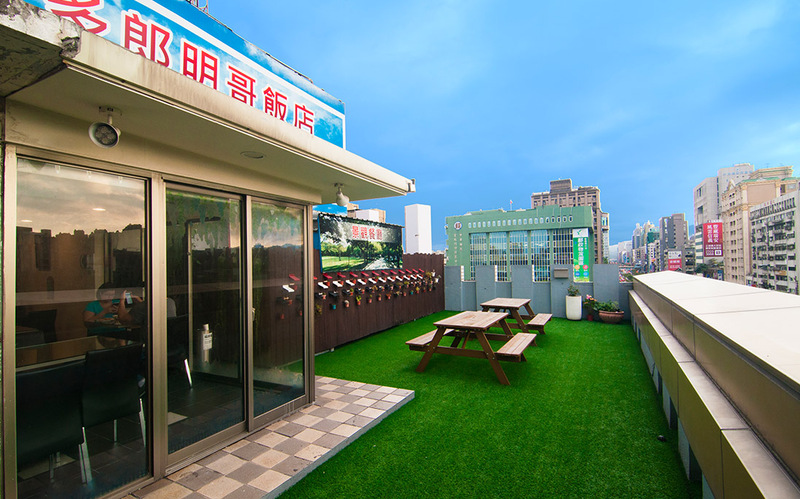 The commercial circle initially consisted of numerous Taiwan local cuisine and restaurants which then expanded to exotic cuisine restaurants, numerous unique and stylistic cafes and coffee houses, as well as boutiques. 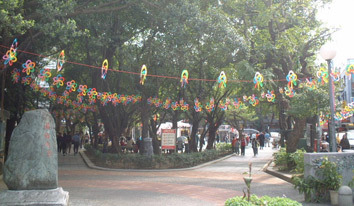 As it is near Daan Forest Park, and offers numerous dining choices, there are often crowds in the area during the evenings and the weekends. 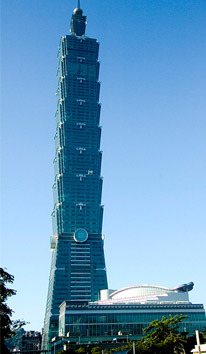 The Taipei 101 is skyscraper located in the Xinyi District in Taipei, Taiwan. It was designed by the architect C. Y Lee, built by the KTRT group, and is the world's highest skyscraper (excluding antennae) and currently the second tallest building in the world (by actual structural height). During the initial planning stages, it was originally known as Taipei Financial Center. 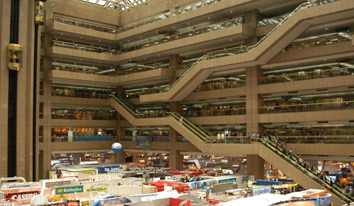 The Taipei World Trade Center is located in the Xinyi Planning District at the heart of Taipei City, Taiwan, and is a multi-functional facility offering exhibition space and related services for the industrial and commercial sectors. 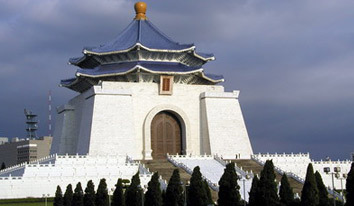 Since its official opening on December 2, 1985, it has become a significant tourist attraction in Taipei. Responding to low carbon and environmental protection means loving the earth. 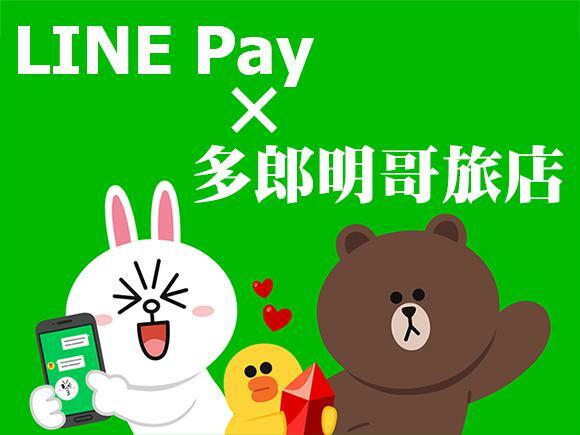 Celebrate the official launch of LINE Pay, up to 10% off on online bookings.